Mineral Wells lost a wonderful person in February, Clyde Bullion, age 79. Educated, gregarious, he was also a bibliophile, a lover of books. One of the ways you can tell a bibliophile is that when you look on their bookshelves you find that the books are lined up two deep. Of course, books piled up around their easy chair also help. Clyde’s library was eclectic. He had rare books, like a signed copy of Amelia Earhart’s autobiography and a first edition of one of the OZ books. He even owned books he didn’t like. His comprehensive collection on World War II included an early German edition of Mein Kampf, by Adolph Hitler. It’s interesting, collecting books of which you don’t approve. Lord Chesterfield said that reading only books you liked was a sure sign in an uneducated person, and Clyde was certainly educated. He had a Ph.D. He was actually, “Dr.” Bullion. In 1982 his books numbered 10,000. His forbearing wife, Jane, hasn’t inventoried the collection recently, but it spreads into four rooms of their house. 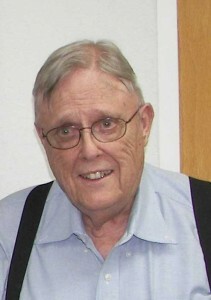 The Friends of the Library, of which he was a member, is collecting donations for books to be given in Clyde’s memory. You may drop your donation off at the Boyce Ditto Public Library, or mail a check. Be sure to make it out to “Friends of the Library” and mark it in memory of Clyde Bullion. For information, call the library at 328-7880.